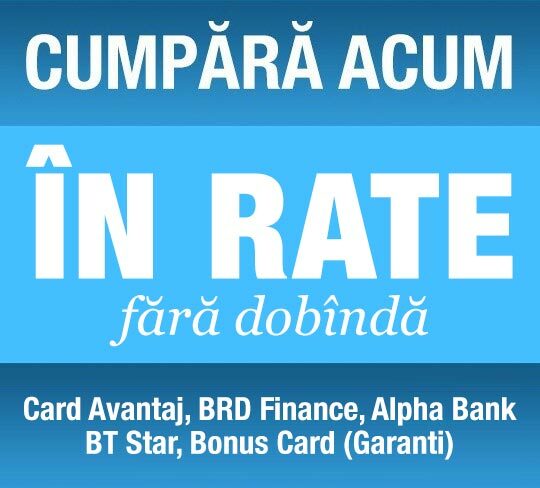 NEcesita amplificare cu Receiver Av surround. 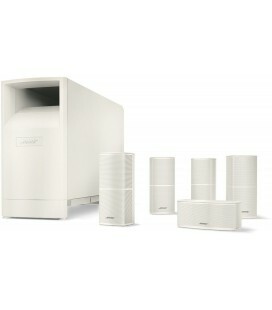 Fully integrated, 5.1-channel home theater speaker system with 200-watt wireless subwoofer. 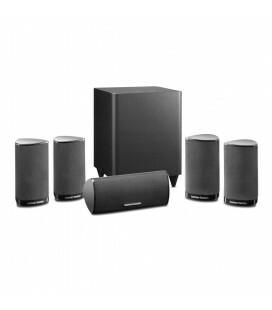 Engineered to serve as the complete home theater loudspeaker package, the Harman Kardon® HKTS 35 integrates high-performance 5.1-channel speakers – four front and rear satellites, plus a center loudspeaker – with a wireless subwoofer in a single sophisticated offering. 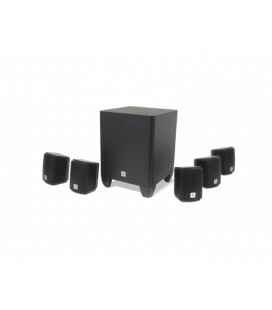 The combination of a dual-driver, center-channel speaker for replaying distinct movie dialogue, powerful dual-driver satellites that envelop you in all the high-energy action and a powered sub for low-frequency thrills makes this speaker system more than equal to handling the sonic excitement of Hollywood blockbusters and your favorite musical offerings. 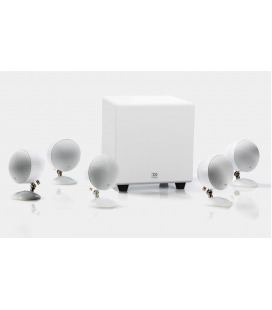 Constant-directivity waveguides fitted to the satellite speakers’ soft-dome tweeters decrease their directivity at high frequencies to produce a wide stereo image across a large listening area. 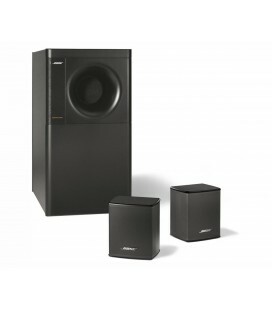 Bass-boost and phase controls on the subwoofer allow you to adjust low-frequency sounds. 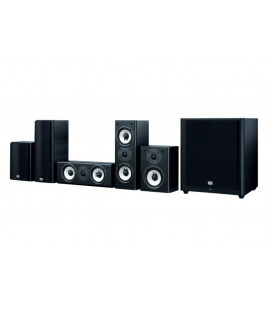 And if that’s not enough, you can put the speakers at ear height with the aid of the optional (and very attractive) HTFS 3 floor stands and add two speakers to expand your home theater to a 7.1-channel system. 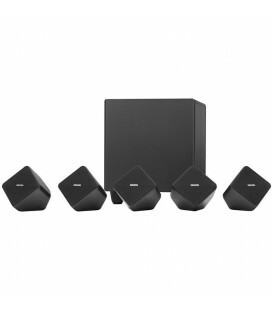 The six-piece HKTS 35 provides a best-in-class cinema experience while elevating your home theater from the ordinary to the truly extraordinary. 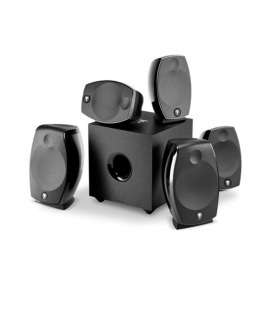 The HKTS 35’s four voice-matched satellite speakers with tandem 3-inch (75-millimeter) midrange drivers and 3/4-inch (19-millimeter) high-frequency dome tweeters produce a rich, realistic, all-encompassing sonic performance with convincing sound effects. 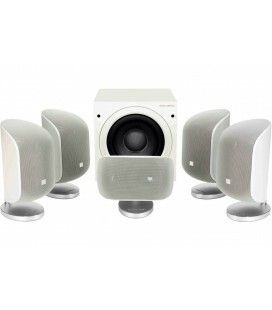 The center-channel speaker of the HKTS 35 features tandem 3-inch (75-millimeter) midrange drivers and a 3/4-inch (19-millimeter) high-frequency dome tweeter for clear, precise dialogue from movies, TV shows or other media created for a multichannel sound system. Constant-directivity waveguides decrease the tweeter’s directivity at high frequencies. 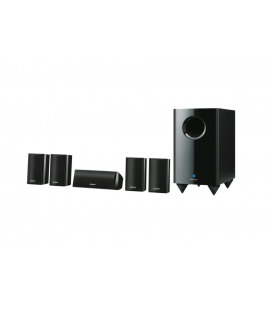 The result is a wide stereo image across a large listening area. The HKTS 35’s 200-watt, down-firing subwoofer with an 8-inch (200-millimeter) driver offers deep, authoritative low-frequency realism that lends richness and believability to whatever imagery you’re seeing on screen – while remaining surprisingly unimposing off-screen. 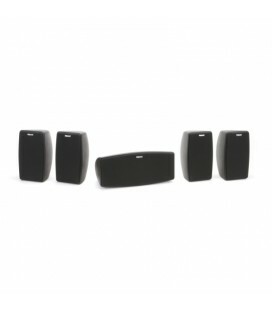 Installing the sub is a breeze with the included wireless transmitter that connects to the subwoofer output of any amplifier or receiver. 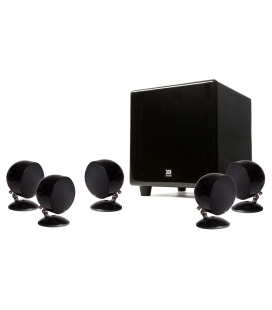 The subwoofer lends an impressive richness and credibility to your home theater experience. 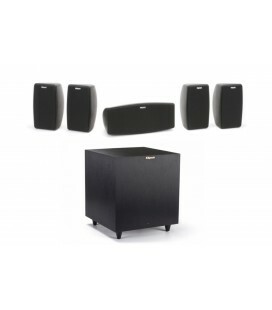 As a complete home theater package, the HKTS 35 has everything you need – including satellite bases, wall-mounting hardware and all necessary cables – in one box. 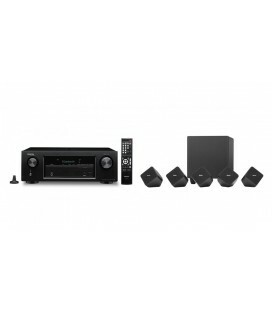 And by including removable shelf-mount stands and wall-mount brackets for the satellite and center speakers, the system offers you great flexibility for installing the speakers in different locations. 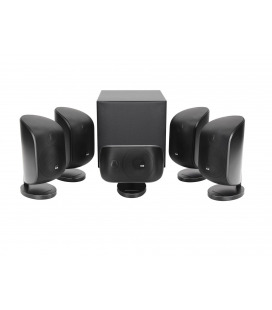 The HKTS 35 represents a décor-friendly complement to any entertainment center or home theater. 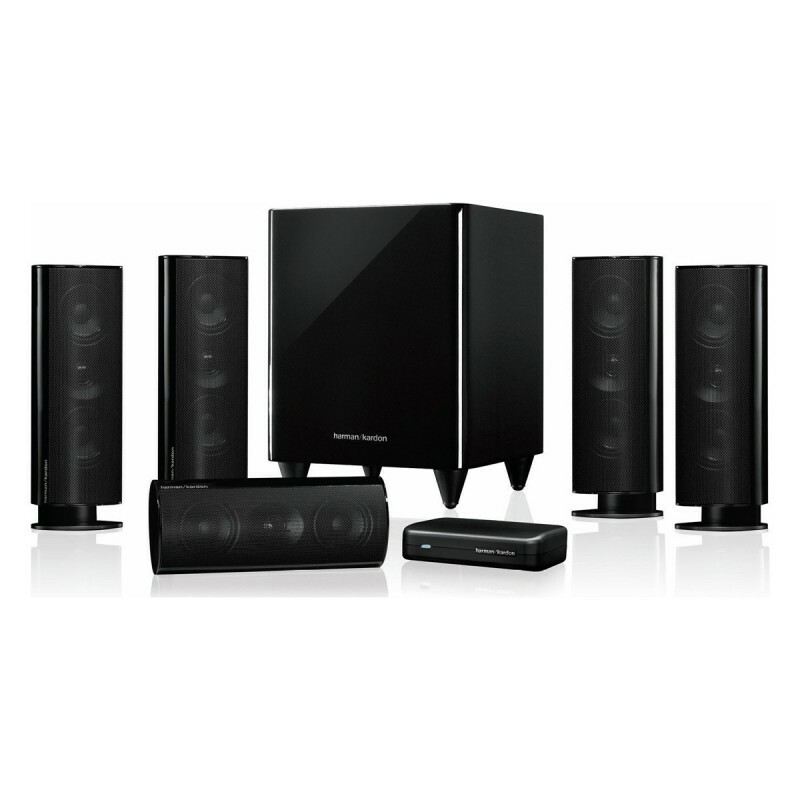 Its contemporary styling incorporates glossy, black accents, polished surfaces and elegant symmetry – elements that are clearly part of the rich Harman Kardon design heritage. 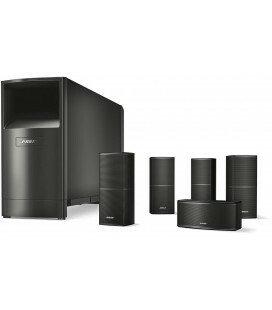 The system’s compact, unobtrusive dimensions offer virtually unlimited installation options. Controls on the HKTS 35’s 200-watt subwoofer let you fine-tune its bass output for your personal taste and room acoustics. 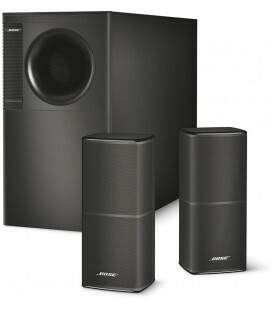 Bass-boost and phase switches also allow you to optimize subwoofer performance, depending upon where you place the speakers. 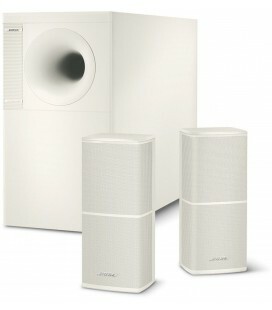 A subwoofer properly in phase with the satellite speakers generates clear and lifelike sounds for instruments such as drums, piano and plucked strings. 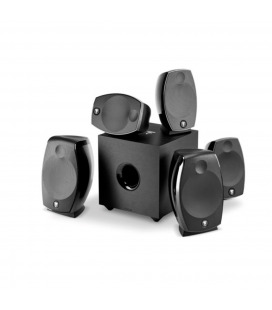 Unshielded loudspeaker components can upset the magnetic field in a conventional TV, resulting in visible color shifts and possible long-term damage. 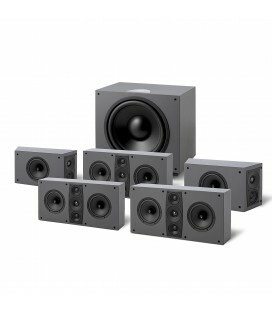 But the HKTS 35’s magnetically shielded loudspeaker components can deliver high-quality, high-performance results even when you place them near a TV. 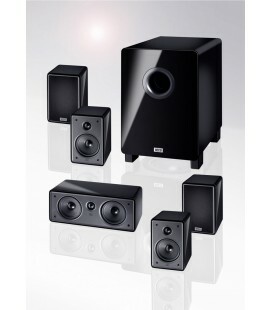 The HKTS 35 includes an LFE (low-frequency effects) input connector that bypasses the subwoofer’s internal low-pass crossover. 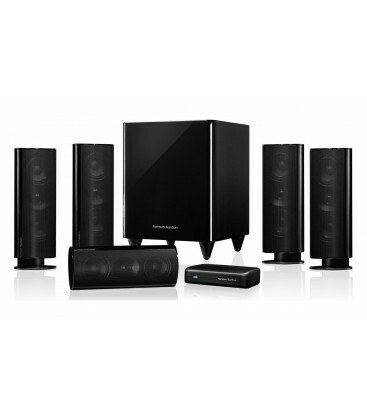 As a result, you can use a receiver’s or processor’s dedicated subwoofer output to provide enhanced low-end performance. 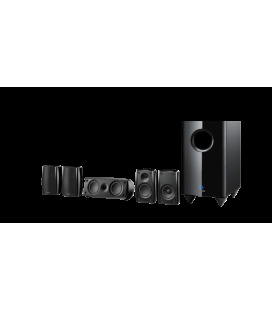 If wall-mounting is not your preferred method of installation, optional HTFS 3 floor stands (sold separately) can set the HKTS 35 satellite speakers at the ideal ear-level listening position. The aluminum-extrusion columns, which also include a self-contained wire-management system, will elegantly complement virtually any décor. 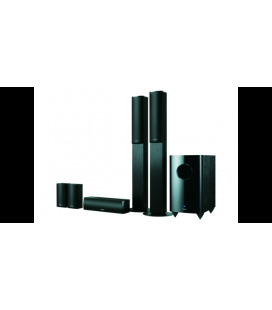 If you want to move beyond the 5.1 channels of this surround-sound system, you can easily add a pair of front-height or rear-channel surround loudspeakers – and hence unleash the 7.1-channel capability of your HKTS 35 system. 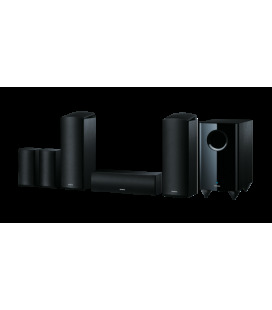 The 7.1 surround-sound format elevates the impact of your entertainment experience with a richer, more thorough soundstage than 5.1 channels. 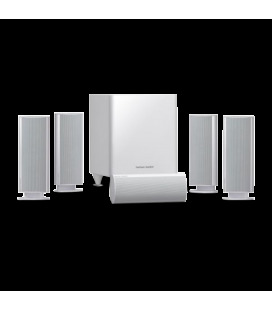 To adhere to European guidelines, the HKTS 35 system uses low standby-power consumption – less than 0.5 watt – and includes a number of energy-efficient features. 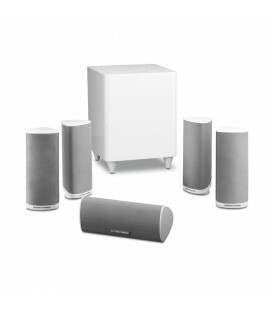 For example, an auto-power on/off function automatically controls the subwoofer in response to a relayed-voltage or audio-input signal. 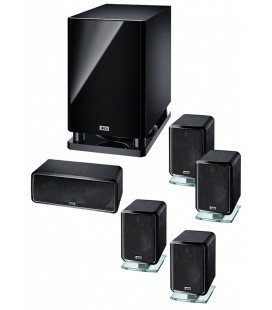 (If the subwoofer receives no audio signal for 15 minutes, it automatically shuts off.) 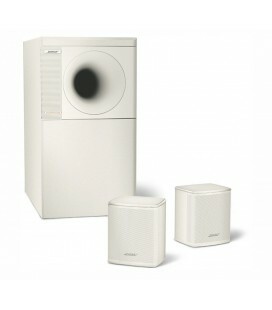 By meeting such “green” standards, this speaker system keeps sound quality high – and your power bill low. 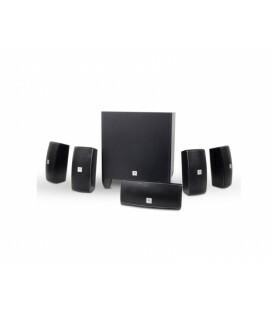 Exemplifying the balance among high style, modern design and audio ingenuity, the HKTS 35 home theater system embodies the spirit of Harman Kardon innovation, a legacy that discerning audio enthusiasts have revered for almost 60 years. 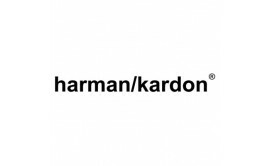 Harman Kardon engineers have consistently advanced the science of sound, developing products that are dedicated to quality, durability and, most importantly, generating rave reviews from audiophiles.